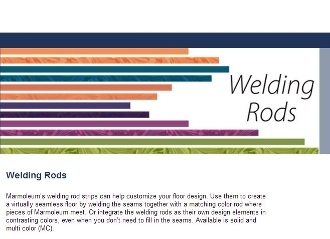 This is a minimum purchase of 30 feet of forbo welding rod. Meant to be installed by trained and properly equipped flooring professionals only. SPECIFY COLOR IN ORDER COMMENTS.